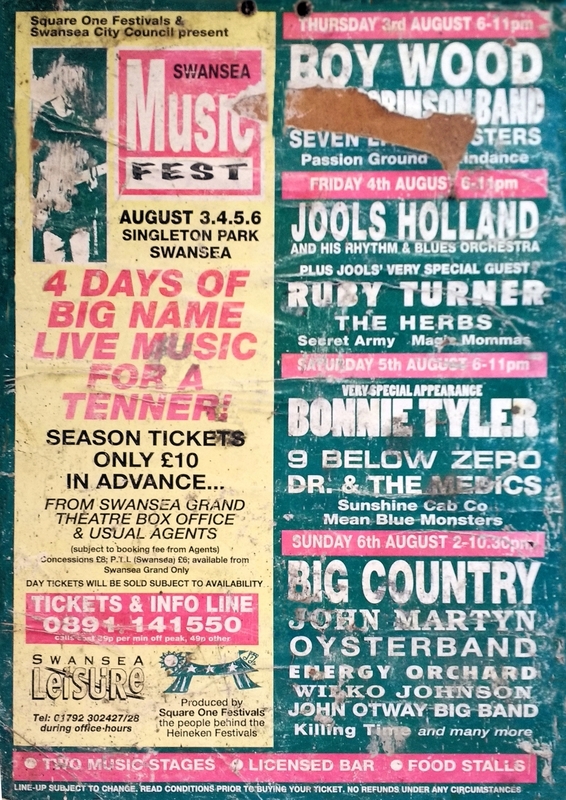 Adrian sent me the picture of this poster of the Swansea concert of Sunday 6th August 1995. "Unfortunately I stored it in the shed many years ago so it's a bit tatty. But it still shows the full band list for all four days."